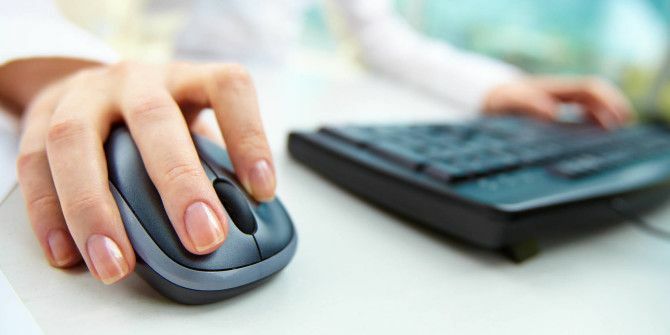 There are a few mouse-related tricks that can make it so much easier to browse the web. Seriously, if you mostly browse the web on a computer, these tricks will change your life. Directly clicking on links with your left mouse button is something you should rarely — if ever — do. Instead, click on links with your scrollwheel. This opens the target page in a new tab and you won’t lose the original page you were on. Bonus Tip: You can also close tabs by clicking on them with your scrollwheel. Today I learned that you can automatically open a link in a new tab by clicking on it with the scroll wheel. My life is changed. If you hold down the Shift key and scroll down, you’ll go back a page. Hold down the Shift key and scroll up, you’ll go forward a page. Most modern browsers support this shortcut and it can be useful if your mouse is basic and doesn’t have dedicated “back” and “forward” buttons. Don’t confuse this with the horizontal scrolling trick 3 Ways the Shift Key Will Change How You Browse the Web 3 Ways the Shift Key Will Change How You Browse the Web Here are three Shift-based browser shortcuts that will make your web-surfing much more convenient. Guaranteed. Read More . The next time you’re on a site with text that’s too small or too big, try holding the Ctrl key and scrolling up. This increases font sizes in 10% increments. Similarly, holding Ctrl and scrolling down shrinks text in 10% increments. Bonus Tip: Zooming with Ctrl + Scrollwheel is a universal shortcut in office suite software. For example, both Microsoft Word and LibreOffice Writer let you zoom in and out on documents with the same shortcut. Got any tips of your own to share? Post them in the comments below! Explore more about: Computer Mouse Tips, Internet. Neat! Looks like it's more of a universal shortcut than I suspected. :) Thanks for sharing, Logan. Got a long distance to scroll? Just middle click once and move the mouse around, and page will scroll. I'm pretty sure this has a name, but I can't remember what it is. That works too, thanks for sharing Slashee. One thing to note is that I think it only works on Windows. Works also in Firefox running on Linux. Really? I'm using Firefox on Ubuntu MATE right now and I can't get it working. Maybe I need to fiddle with some settings or something... In any case, if it does work on Linux, that's great! Might be a KDE thing then. Weird. I'll look into it, thanks!